The process of capturing The Lessons Learned is often overlooked and forgotten in projects and programs, and in my opinion that’s a mistake. The lessons learned, if done right, is very useful as it tells us what went right and what went wrong. That information isn’t valuable in itself, but when concrete actions of improvement come out of it, then it’s easy to see the value of the lessons learned. Over the years I’ve seen lessons learned captured in a number of different ways. Like any process, the quality of the lessons learned will depend on the quality of the inputs (garbage in, garbage out), but it is equally about the outputs. For it to be successful, the lessons learned is not about producing a beautiful report, it is about implementing concrete improvement actions, and ensuring these actions are done. I’d like to describe here the best template I have seen for running a lessons learned meeting to date. The first thing you need to do is gather together a broad representation of stakeholders from all different streams involved with the project or program. This meeting will take about two hours to hold. Make sure you book it well in advance and ask people to prioritize attendance to ensure a good turnout. First, ask everyone to score the project between 1 and 10, with ten being the best project ever and 1 being the worst. Next ask everyone to place their post-its on a wall in numerical order. Where you see most post-its gathered gives a fairly good indication of how the majority perceived the project went. You will need 5 minutes in total for this exercise. Now ask everyone to write on a post-it how they perceived the project went in a single word. Then ask everyone to stick their answer on the wall near each other. Allow 5 minutes in total for this exercise. Now ask everyone in the room to write down on their post-its, the key events of the project, both good and bad and place them on the timeline. Allow 20 minutes for this exercise. If it looks like there are gaps in the timeline then prompt the participants to create something for that area. Obviously each sticker represents an emotion, so now you ask the participants to place their colored stickers against the events on the timeline according to how the event made them feel. They will need to use their stickers sparingly as they only have 5 stickers of each color. Allow 20 minutes for this exercise in total. In this step we want to mine the data collected. Start to walk through the timeline in chronological order stopping to discuss any post-its with several or more stickers on them. You will inevitably encounter lots of post-its with different colors stuck to them, so discuss with the group what caused them to attach different colors to these particular post-its. It is my experience that some lively debate often occurs during this phase, and it is your job as the facilitator to ensure that notes are kept on the post-its that are discussed, including the key points in the discussion and the root cause of the post-it being highlighted if it is touched upon. Aim to keep this section to 30 minutes. It is typical during this phase to spend lots of time discussing things which went badly or confused people. You job as facilitator is to encourage the group to also discuss those things which went well. Collect all the discussed post-its into one place where everyone can see them. Then ask the participants to write down “what to keep” and “what to change” from the project, along with assigning owners to these actions. They should write down one suggestion per post-it. Now ask them to place them all on the wall in priority order (they will need to agree the priority amongst themselves), removing any duplicates. Allow 20 minutes for this exercise, leaving you 10 minutes to thank them and close the meeting. You will understand the key events that went well and bad and how they made people feel. You will have a list of actions in priority order along with owners for these actions. It is a good idea to distribute all of this information back to the group immediately after the meeting whilst it’s still fresh in your mind. As I stated previously, this is the best template I know to run a lessons learned meeting. However, the most important part is to follow up the actions agreed at the end of the meeting to ensure they are done. This will ensure the next project or program runs more smoothly. One way to do this might be to check the actions have been completed as one of the first steps in your next project. If you’ve been running a really large project or program with hundreds of people involved, clearly it’s not feasible to get everyone in the same room, and it’s a good idea to have each stream lead run the above meeting with their team allowing you to consolidate and distribute the results. Good luck using the template described above to run your next lessons learned meeting– let me know how it works out! Do you perhaps have any information relating to the benefits and/or challenges for integrated vs a centralized maintenance function? Also, have you seen artisans (Fitters, electricans and millwrights) being placed in Technical operator roles? What are the lessons learned in this regard? Thanks for getting in touch. I think the benefits would probably be similar to that of the advantages of a pmo. Namely, economies of scale and a consistent coordinated way of working. It would likely share the disadvantages too. Some of the information is here, otherwise just do a search on “pmo benefits”. I’m afraid I don’t understand the 2nd question so can’t help you there. Thank you very much for this useful post. I am trying to run a similar exercise, and though I really like the format you lay out, I am having difficulity, as my lessons learned session pertains to a very long-term project (2+ years). For this reason, when you ask participants to outline the “key events of the project, both good and bad and place them on the timeline” I am worried that events will either be too high level, or too detailed (and clustered towards the latter end of the project where memory better serves). Do you have any advice or best practice as to what “defines” an “event” per se in longer projects? Also, did you “prime” your participants in any way to all think of “events” along the same lines (e.g. if some people assign more emotional events, it will negate the 4-color approach of assigning emotions to events in the second step). I would be keen to hear your advice on this as well. A very brief response but I would simply create a long timeline on a wall and ask them to put the key events on it – although you might want to jog their memory by walking through the milestones and big decisions of the journey. I don’t understand your second point, but I don’t see the need to prime people, as you’re trying to elicit their true feelings about the project and not restrict them in any way. If there are different emotions attached to events then just capture the range or let the facilitator agree a consensus with the group. Many thanks for your response, I really appreciate your time with this. I may again take an opportunity to pick your brain with a couple more questions, if I may. The reason I ask about “priming” participants to all think about events in the same way, is because I am wondering if you have ever been in the scenario where some people choose very emotional or personal events (e.g. “the workshop I ran independently was awful because I felt the participants were disengaged”) where others may choose very high level events (e.g. 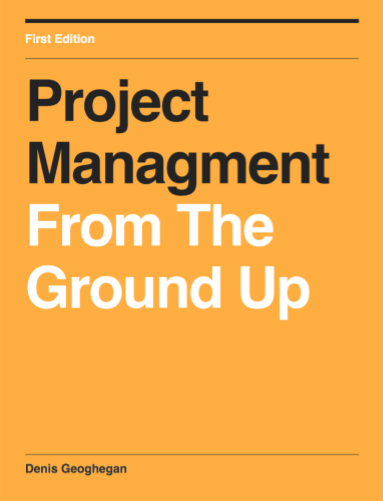 “the project planning was poor”). Would this not make it very difficult in the “colored sticker” phase because people wouldn’t be able to relate to other people’s defined events? So people would only put their stickers on their own events? Perhaps it would be helpful to me if you provided an example: When you use the word “event” here, can you give me an example or two of what you have seen in the past?